The lion (Panthera leo) is one of the four big cats in the genus Panthera and a member of the family Felidae. With some males exceeding 250 kg (550 lb) in weight, it is the second-largest living cat after the tiger. Wild lions currently exist in sub-Saharan Africa and in Asia (where an endangered remnant population resides in Gir Forest National Park in India) while other types of lions have disappeared from North Africa and Southwest Asia in historic times. Until the late Pleistocene, about 10,000 years ago, the lion was the most widespread large land mammal after humans. They were found in most of Africa, across Eurasia from western Europe to India, and in the Americas from the Yukon to Peru. The lion is a vulnerable species, having seen a major population decline in its African range of 30–50% per two decades during the second half of the 20th century. Lion populations are untenable outside designated reserves and national parks. Although the cause of the decline is not fully understood, habitat loss and conflicts with humans are currently the greatest causes of concern. Within Africa, the West African lion population is particularly endangered. 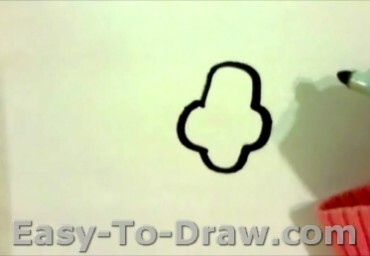 Step 1: Draw the face. 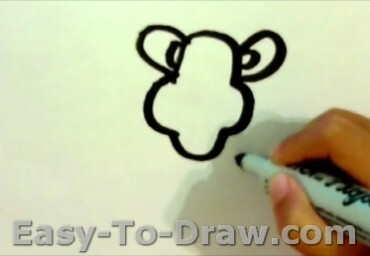 Step 2: Draw 2 ears. 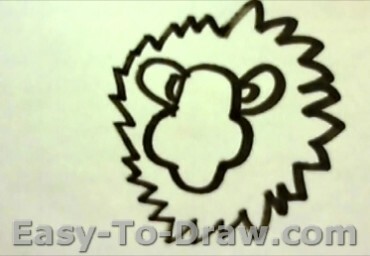 Step 3: Draw its hair. Step 4: Draw the body and feet. Step 5: Draw the nose and mouth. 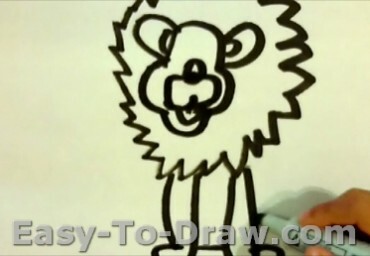 Step 6: Draw two eyes and its mustache. In a dense forest, lived a fierce lion. He was very cruel. One day the lion was caught in a hunter’s trap. One by one many animals passed by. 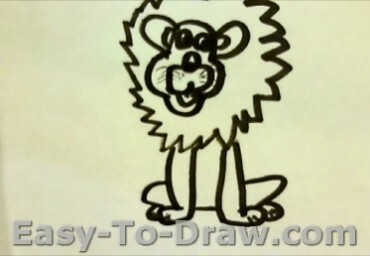 “Please helped me!” pleaded the lion. But none of the animals listened to his plea. After a while, a man happened to come into the forest. He saw the lion. The lion said, “I will die of hunger and suffocation. Please help me out, O! kind man.” The man was thoughtful. “I assure you I will never harm you. Please help me now. The hunter will be anytime now,” said the lion. The man felt sorry for the lion and set the beast free. As soon as the lion was free, he let out a fierce roar. “I have been trapped in the cage for a long time. I am hungry. I will have to eat you,” said the lion, looking at the man. “But you promised that you would not harm me,” said the man, in a meek tone. “Yes, I said that. But only to convince you to free me. Now, I am terribly hungry,” said the lion. The lion agreed. He was sure that no animal would speak against him. Just then a jackal came that way and the lion asked the jackal to be the judge. 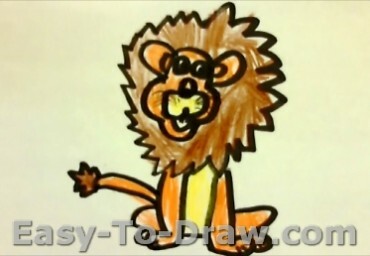 He addressed the lion, “Sir, would you please show me how it all happened?” The lion was only too willing. He entered the cage and closed the cage door. The jackal immediately bolted the cage from outside. “Now the lion is trapped again. Run away, you foolish man! And never offer help to anyone without thinking,” said the jackal. The frightened man ran for his life. And the ungrateful lion was trapped in the cage again. The hunter came and took the lion away to his circus. 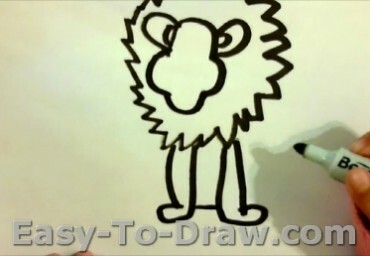 Cartoon Lion Video Drawing Tutorial for kids!